Silenced by the horrors of Nazi Germany, a Jewish satirist is inspired to write again by his biggest fan: Joseph Goebbels. A retired English teacher dies on the operating table and wakes up to an afterlife in which literature does not exist; he can claim any masterpiece as his own, from The Catcher in the Rye to Crime and Punishment—if only he can remember what actually happens in those stories. On his first trip to the Holy Land, a down-on-his-luck filmmaker reluctantly agrees to help a young Israeli Arab escape to New York, only to watch in dismay as the upstart lands a buxom, Yiddish-speaking girlfriend and a monster movie deal. 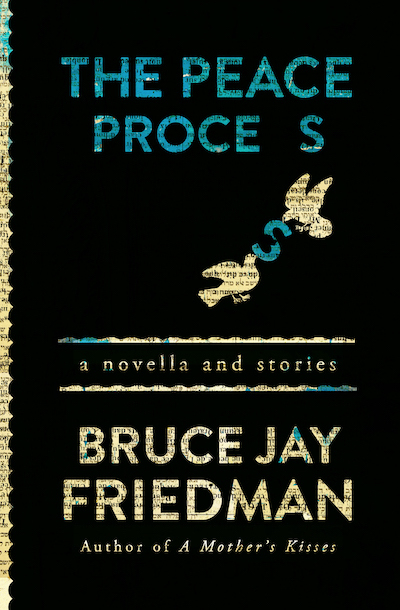 Mario Puzo once said that the world of Bruce Jay Friedman’s short fiction is “like a Twilight Zone with Charlie Chaplin.” Ironic, clever, perceptive, and hysterical, The Peace Process is vintage Friedman—fourteen finely crafted tales that take dead aim at the sweet spot between pleasure and pain.